Crawlspace moisture solutions can be very confusing. We make it simple and affordable for you. If you have a damp crawlspace here are a few things you should be concerned about. 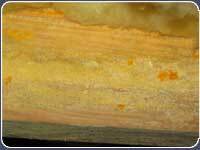 First, there are thresholds for mold growth to occur. Any relative humidity above 60% will support mold growth. Any moisture contents above 18% will support mold growth. Even more importantly in your crawlspace though are sustained moisture content levels above 20% will rot wooden members. With our normal inspections services we will provide you with a complete moisture analysis of your crawlspace. Most crawlspaces today have several obstacles that provide an environment that is suitable for mold growth. Usually the foundation venting is inadequate. Most homes don’t have any foundation vents along the garage end of the home and many don’t have foundation vents in the front of the house, in particular the porch area. When these problems occur there just isn’t enough ventilation to keep your crawlspace dry enough to prevent mold growth and rot. The next problem we commonly see is that the HVAC system and ducting from this bisect the crawlspace and block good ventilation, even if the venting is adequate. In most cases we can correct these issues much cheaper than you can have more foundation vents cut into your home or to relocate your HVAC system and the ducting from it. If you have outside moisture getting into your crawlspace, it could be something as simple as sprinklers hitting the house. This is the easiest to correct. In many cases we have seen the topography needs to be changed to prevent rainwater from getting up against your home. Sometimes we see crawlspaces that are actually lower than the outside ground elevation, which basically creates a well under your home. To correct outside moisture from getting into your home takes a lot more work and is not usually that easy to correct. Not every crawlspace needs to have the mold remediated. Crawlspace mold is very common and not an unusual occurrence. We like to be able to answer two (2) questions before we suggest remediation of the crawlspace. First, is the mold in the crawlspace a toxic type mold? Secondly is there an elevated mold spore count indoors, in the living environment that is related to the molds found in the crawlspace? We are trained to accurately determine both of these questions and we do this by means of independent laboratory sampling. First we take air samples indoors. Industry standard require that an outdoor sample be taken as a reference sample because the indoor sample is relative to the outdoor sample. Then we take surface samples of the visible mold in the crawlspace. We overnight these samples to the lab for analysis, and can generally have results for you within 24 hours after the lab receives them. Before any remediation can begin the moisture issue must be addressed and corrected. 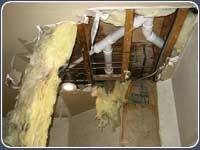 Any water damage repairs must be completed as well. We follow the latest standard developed for mold remediation professionals, the S520 standard. We are thorough in our practices and procedures. 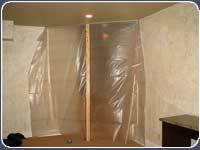 It is not a good practice to just remove the mold in a single area of the crawlspace or just where you can see it. We always, in our crawlspace remediation efforts, remove the mold throughout the entire crawlspace. 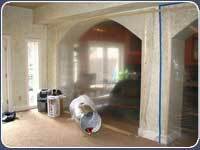 We provide air scrubbers in the living area to capture any mold spore release into the house during remediation. 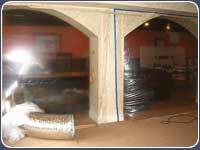 We place an air scrubber/negative air machine in the crawlspace during remediation. We HEPA vacuum all accessible surfaces on the floor joists and supports to eliminate visible signs of mold and to capture all microscopic mold spores. In the crawlspace we apply, utilizing a ULV fogger, an EPA approved anti-microbial (normally this is Microban). We also provide indoor air samples before and after remediation to provide documentation that the indoor environment has not been cross-.contaminated as a result of our remediation in the crawlspace. This does not include any insulation, vapor barrier, or debris removal. We can provide these services. If you have any questions regarding our services you can e-mail us or give us a call. With a signed order from you we can put this onto our production schedule. We are currently between 1-2 weeks out. Our estimation is that it will take approximately 1 week to complete most crawlspace projects.